Preheat oven to 400°F (205°C). In a large bowl, whisk together flour and salt. Using pastry cutter, cut in butter and lard until mixture resembles fine crumbs with a few larger pieces. Whisk egg with vinegar and slowly add enough ice water to make to 1/3 cup (75 mL). 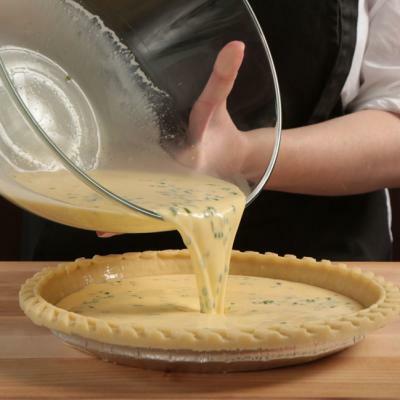 Pour over dry ingredients, stirring briskly with a fork until dough clumps together. Form into a ball; press into a disc and wrap in plastic wrap. Refrigerate for 1 hour or up to 2 days. On lightly floured work surface, roll out pastry into 12-inch (30 cm) round, about 1/4-inch (5 mm) thick. 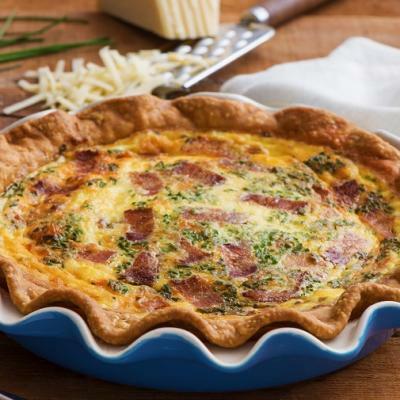 Fit into standard 9-inch (23 cm) pie pan, pressing into bottom and sides; trim and discard excess pastry. Press edge with fork or flute with fingers. Refrigerate for 30 minutes. Prick bottom of pastry with fork. 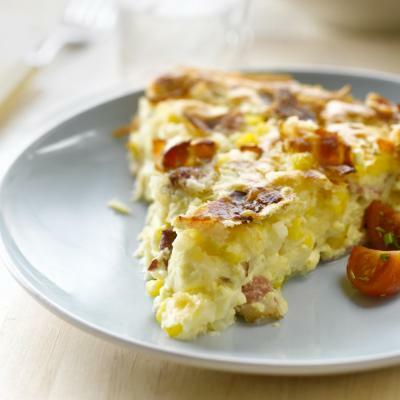 Line with foil or parchment paper and fill with pie weights, dried beans or uncooked rice. Bake in bottom third of oven for 20 minutes. Remove foil and weights; bake for 5 to 7 minutes or until crisp and lightly golden. Let cool completely. Preheat oven to 325°F (165°C). Whisk together eggs, cream, milk, salt and pepper. 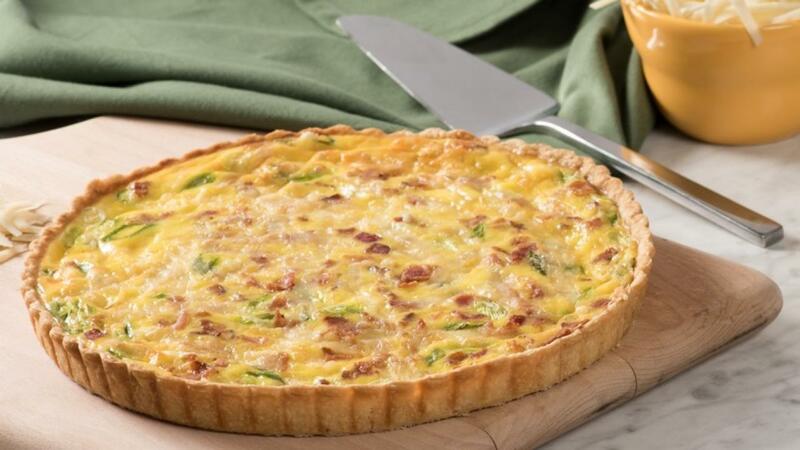 Stir in cheese, bacon and green onion; pour mixture into crust. Bake in centre of oven for 45 to 50 minutes or until filling is set but still jiggles slightly in the centre. Let stand for 15 minutes before slicing; serve warm or at room temperature.